This position statement was drafted and agreed upon by the 4word Board of Directors on March 10, 2018. 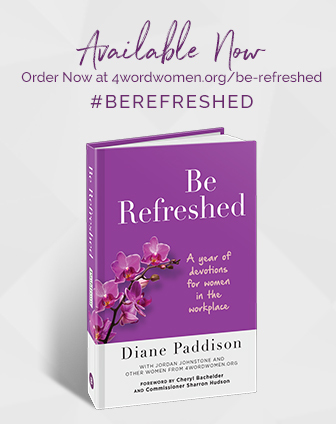 4word’s mission is to “connect, lead, and support women in the workplace to reach their God-given potential with confidence.” 4word women desire to use their God-given callings and faith to change the world one cubicle, boardroom, and community at a time. While individuals of all faiths, genders, creeds, and colors have been impacted by harassment, the plight of women, in particular, has been silenced too long. We applaud the women who are breaking that silence. As leaders in the workplace, we know that our support for women in this area has the power to uplift all working people. Harassment does not discriminate between gender, age, physical statue, talents, or profession, but touches all categories of people. For every direct workplace victim, there are many secondary ramifications in office morale, productivity, and health, and employee retention. We see the fight against workplace harassment not as a fight between women and men, but rather a fight for the freedom of all individuals to be able to show up for work and do their jobs to the best of their ability. 4word women oppose all forms of harassment in the workplace. We want to see men and women approaching their workplaces bolstered with knowledge, confidence, courage, and resiliency. We desire work environments where individuals at all levels feel comfortable in saying “no,” and in reporting offenses to authorities, with no fear of intimidation or reprisal. When organizations fail to address issues appropriately, we believe victims should be fully supported in speaking out and in exploring options for legal recourse. We promote women being proactive in developing strategies for avoiding harassment, and we stand firm on the premise that bullying is never the fault of the victim. As events have unfolded in recent months, we have seen many thoughtful responses offering advice on avoiding, combating, and reporting harassment. We believe these responses and conversations to be critical steps towards healing. We further advocate for an approach that as Christians, we know is distinct and necessary to move forward with confidence. That approach is Biblical forgiveness. We are called to forgive throughout the Bible, as stated for example in Colossians 3:13 (NIV) “Bear with each other and forgive one another if any of you has a grievance against someone. Forgive as the Lord forgave you.”(1) We recognize that the mantle of biblically based forgiveness can be—and too often has been—misused as a way of keeping things quiet and preserving the status quo. We reject that misuse as immoral and unbiblical. We wish to see women empowered to engage in forgiveness from a place of healing and strength. The forgiveness we advocate for does not ignore problems; it does not suppress the rights, or needs, or well-being of abuse victims. We see forgiveness primarily for the restoration and healing of the victim but hold out hope that it may also lead to change in the lives of the perpetrators. We are committed to women in the workplace, the total woman, her physical, mental, and spiritual wellbeing through mentoring, local group relationships and global engagement. Our position in the fight against harassment and abuse embraces the need to bring inappropriate behaviors into the light through supporting women having open discussions, community support, and individual empowerment. 4word women can be active in the fight for change, and compassionate with their impacted sisters, offering wisdom and advocating for Biblical forgiveness. We will not despair but urgently strive for the day when women feel safe from harassment and fully respected and restored. Ephesians 4:31(ESV) Let all bitterness and wrath and anger and clamor and slander be put away from you, along with all malice. Psalm 130:4 (NIV) – But with you, there is forgiveness, so that we can, with reverence, serve you. Luke 6:27-28 (NIV) – But to you who are listening I say: Love your enemies, do good to those who hate you, bless those who curse you, pray for those who mistreat you.